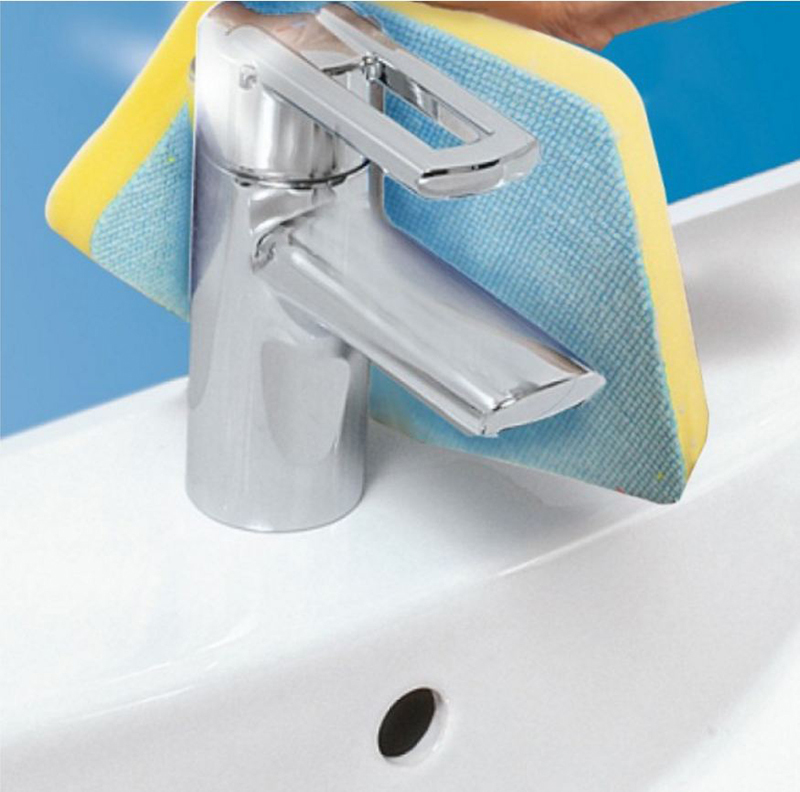 Vileda Bath Majic cleaning system is designed specifically for the bathroom. 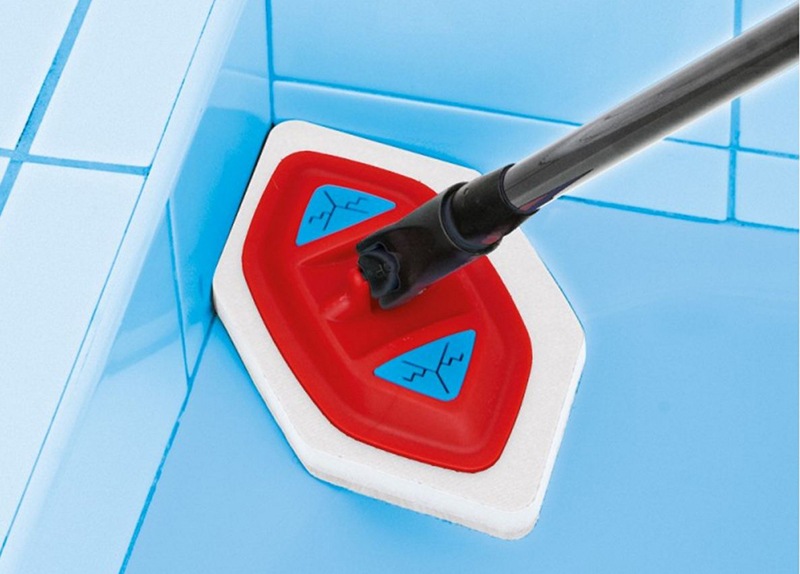 The extendable handle and unique swivel head allows you to get into those hard to reach corners without the need to bend and stretch. 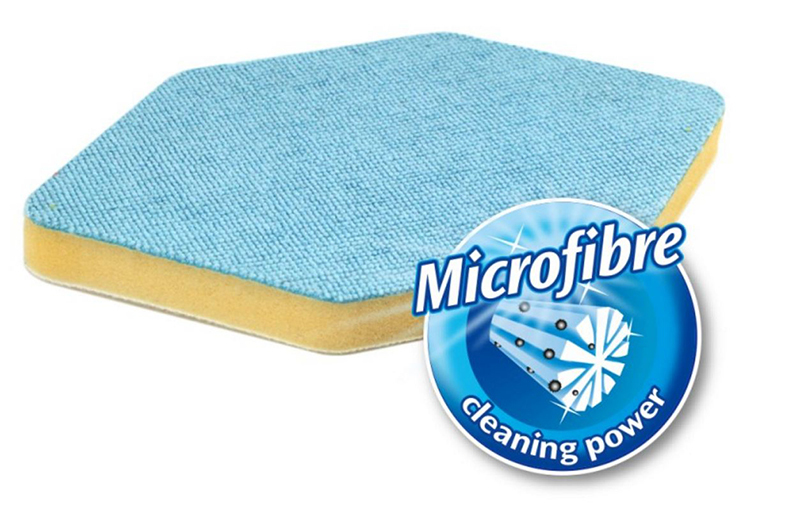 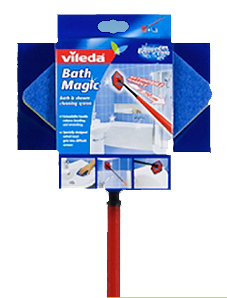 Vileda Bath Magic includes a detachable scouring sponge & re-usable cloth. 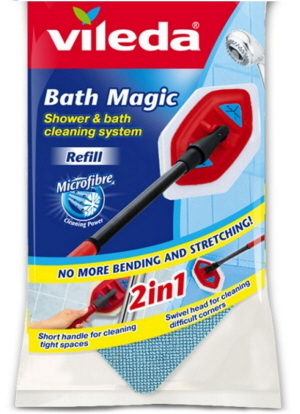 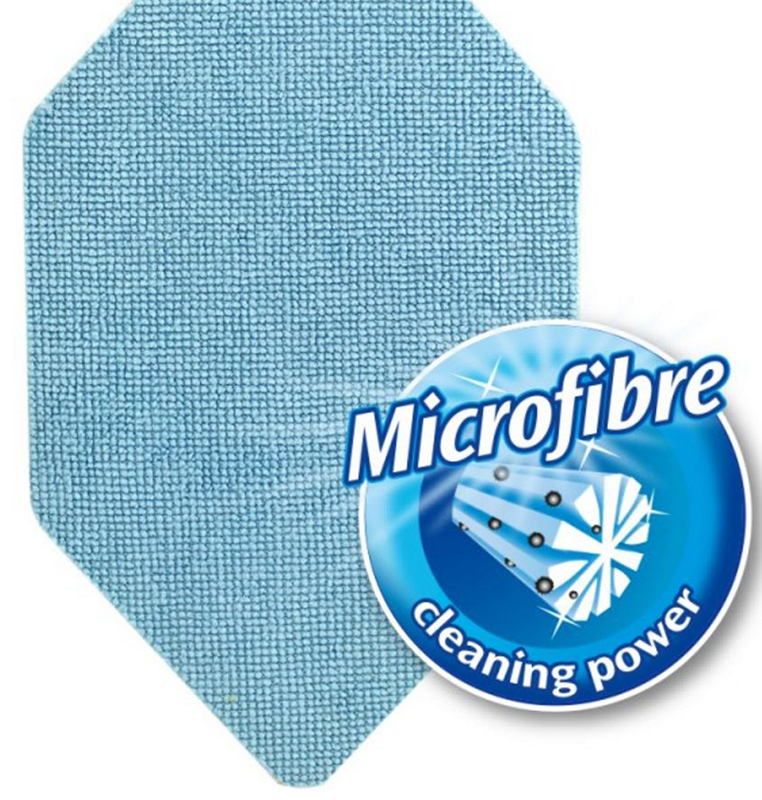 Ideal for the shower, bath tub, tiles and glass. 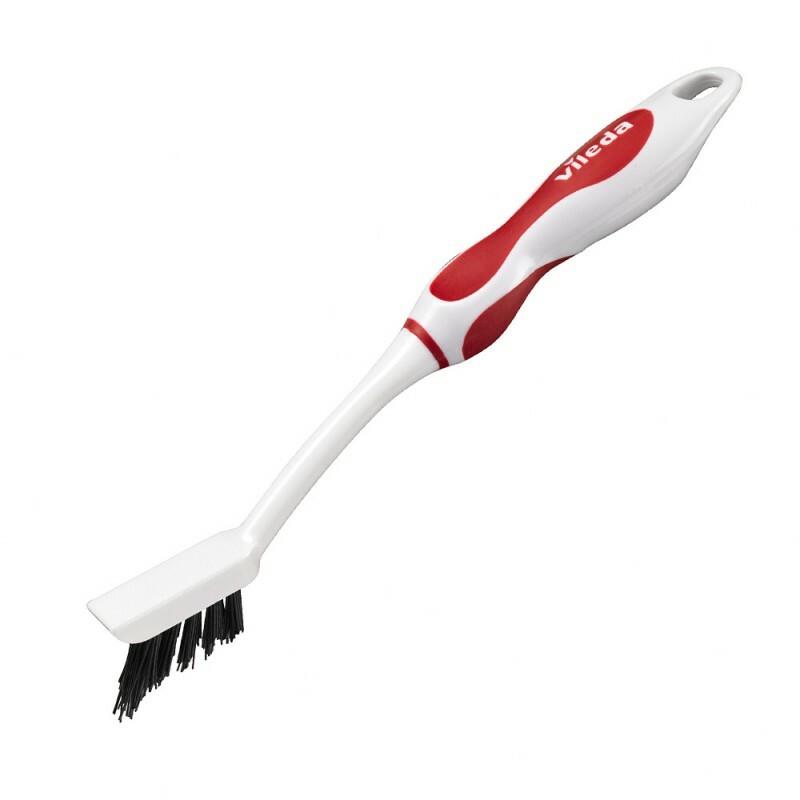 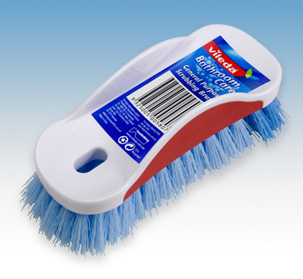 Vileda Toilet Brush Set contains a brush for deep cleaning and a convenient brush holder.Bristles are treated with silver ions to prevent the growth of bacteria.